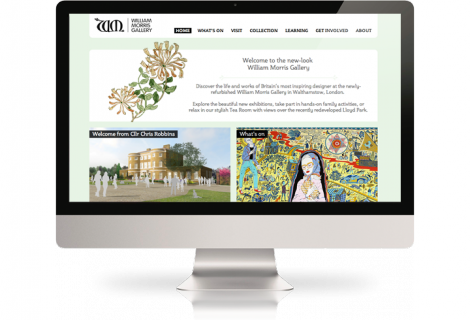 On the 2nd August 2012, the William Morris Gallery in Walthamstow opened its doors to the public - together with a new website by Keepthinking. The William Morris Gallery is an amazing gallery in North London, which has just been renovated to display over 10,000 objects about the life and work of Morris and his artistic circle. The website is based on our very own Museums Sites platform, with a custom design and some bespoke functionalities. The Gallery has been successifully using Qi to create content for the website and to manage the complex collection, comprising many types of objects. For full details, please see the project page on this website. For more information on Museums Sites please visit the Museums Sites dedicated website. Alternatively, just enjoy the William Morris Gallery!